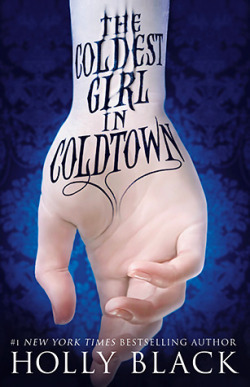 Spooktacular Giveaway Hop - Win Coldest Girl in Coldtown! Welcome to the Working for the Mandroid stop on the Spooktacular Giveaway Hop, hosted by Kathy at I Am a Reader, Not a Writer. This is one of the largest hops Kathy hosts and in this fourth annual edition, over 300 different blogs are participating. You'll find the full list at the end of this post, but first enter to win a copy of The Coldest Girl in Coldtown by Holly Black. This contest will run from the time this post goes up through midnight on October 31. The winner must have a US mailing address and respond to my email within 48 hours to claim their prize. And here is more about what you'll be winning. This is a great take on vampires that takes out all the glitter and romance and replace it with creepy and violence. Enter to win a copy of this fantastic recent release. Open to those with US mailing addresses only. Visit the other blogs on the tour to enter to win other grea bookish prizes!